In mechanically demanding applications such as hydraulics and damping, Element14 fluids typically provide extremely good shear stability and excellent lubrication or slip. Because of their unusually low interfacial tension, Element14 fluids are excellent to consider for applications that require high surface activity and great spreading or penetration. Mold releases, polishes and cosmetics are examples of products that can benefit from these characteristics. These fluids can be considered for liquid dielectrics; measurements have revealed that the dielectric strength, volume resistivity, dielectric constant and dissipation factor are little affected by temperatures over a wide range. At high or low temperatures or elevated pressures, Element14 fluids distinguish themselves from organic polymers, with viscosity and other fluid properties remaining stable in multiple conditions. Coupled with a long shelf life, this stability has resulted in the use of Element14 polydimethlysiloxane (PDMS) fluids across a broad range of applications, from hydraulic fluids to cosmetic additives. Momentive has standardized the formulation, labeling and ordering of the Element14 products around the world, ensuring reliable consistency for our global customers in all regions. And we continue to work closelywith customers to help them optimize each Element14 application. Discover how the complete Element14 line of PDMS fluids can provide successful solutions. * Element14 is a trademark of Momentive Performance Materials Inc. The Element14 PDMS fluids series comprises a portfolio of products globally available from Momentive Performance Materials. In their chemical structure, our Element14 PDMS fluids are quite different from other synthetic materials. The products of the Element14 PDMS line belong to the class of the methyl terminated polydimethylsiloxane. The silicon-to-oxygen bond is much stronger than the carbon to carbon bond. Additionally, the inorganic backbone inherited from quartz is saturated with organic methyl groups. Silicones differ from organic compounds in both their physical and chemical properties. 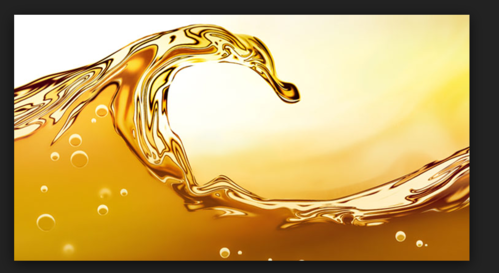 Element14 PDMS medium viscosity oils may be considered for use in several industrial and consumer applications. heat and mechanical transfer fluid, hydraulic fluid, electrical insulating fluid, water repellent, polish ingredient, mold release agent, lubricant, anti-foam, personal care ingredient, textile, spin finishes, paints and coatings additives. Packaging Details: 200 Kg MS Drums Smaller Packing available upon request. 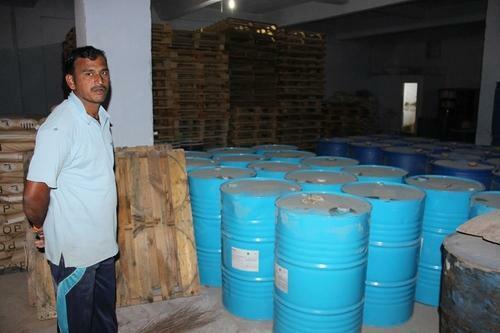 We are a renowned firm engaged in wholesaling, retailing and trading Silicone Oil 12500 CST. These are processed using high grade ingredients and advanced technologies at our vendors-end. Our quality experts test these products rigorously to ensure their adherence with international quality standards. Moreover, due to our links to some of the most efficient and versatile vendors in this industry, we have been able to carter our clients with their bulk orders within the stipulated time-frame. The Element14 PDMS fluids series comprises a portfolio of products globally available from Momentive Performance Materials. In their chemical structure, our Element14 PDMS fluids are quite different from other synthetic materials. The products of the Element14 PDMS line belong to the class of the terminated . The silicon-to-oxygen bond is much stronger than the carbon to carbon bond. Additionally, the inorganic backbone inherited from quartz is saturated with organic groups. Packaging Details: Standard Packing 200 Kg MS Drums. Smaller Packing available on request. Looking for “Silicone DMPS Fluids”?